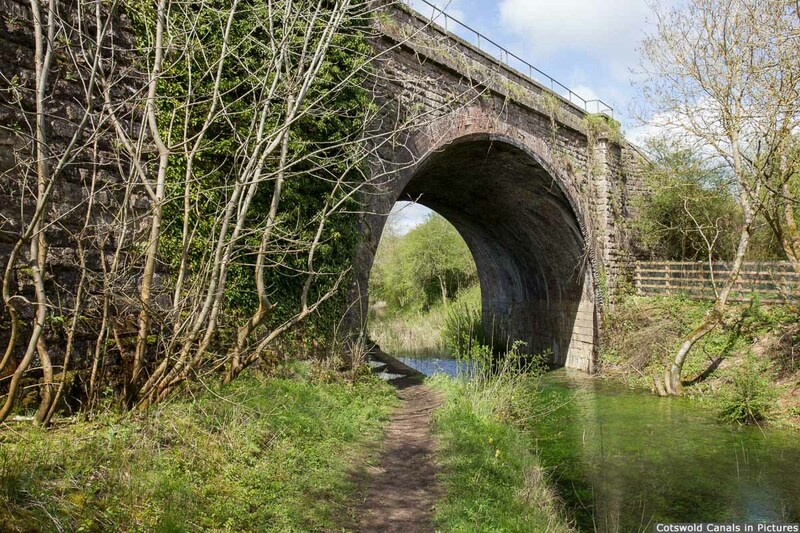 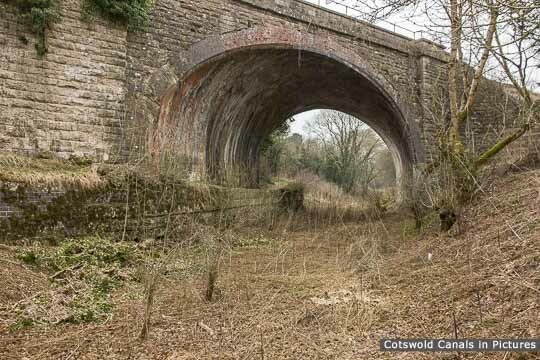 This carries the Swindon-Gloucester branch of the Great Western Railway over the canal, and is currently the only intact railway bridge on the Cotswold Canals. 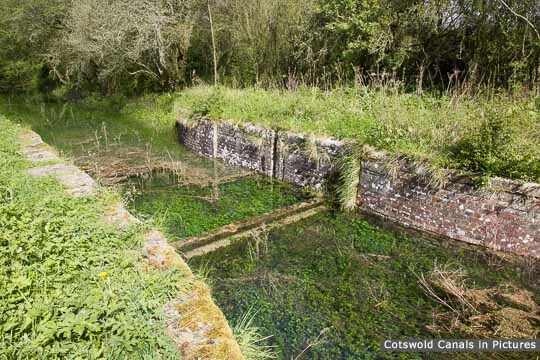 Water in the canal at this point is relatively rare - a wet winter is needed! 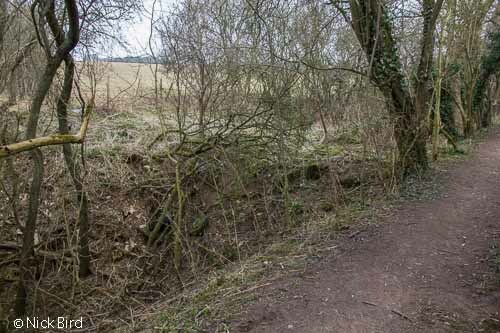 A more typical view of Skew Railway Bridge - no water!